Situated in Khao Tao, Searidge Resort Hua Hin is the perfect place to experience Hua Hin / Cha-am and its surroundings. The city center is merely 20.6 km away and the airport can be reached within 22 minutes. With its convenient location, the hotel offers easy access to the city’s must-see destinations. Searidge Resort Hua Hin offers impeccable service and all the essential amenities to invigorate travelers. To name a few of the hotel’s facilities, there are car park, family room, elevator. All guest accommodations feature thoughtful amenities to ensure an unparalleled sense of comfort. The hotel offers an excellent variety of recreational facilities, including outdoor pool. 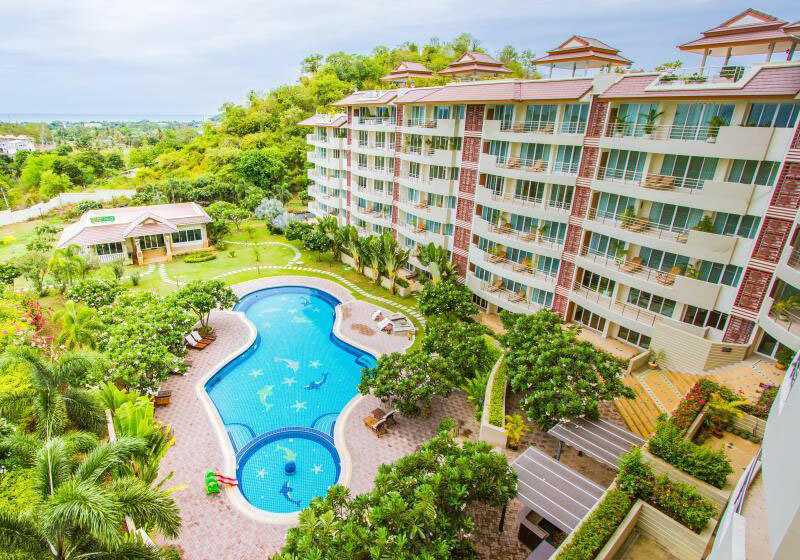 Superb facilities and an excellent location make the Searidge Resort Hua Hin the perfect base from which to enjoy your stay in Hua Hin / Cha-am. Short Description: Situated in Khao Tao, Searidge Resort Hua Hin is the perfect place to experience Hua Hin / Cha-am and its surroundings. The city center is merely 20.6 km away and the airport can be reached within 22 minutes.